Virginia Drivers Ed course is approved by the state Department of Education, which satisfies all the requirements that are necessary to get your Learners permit. This course has been approved for HOME-SCHOOLED students by the Virginia Department of Education and meets the 30-hour course requirement. It not only includes 30 hours of online driver training, but it also offers unlimited DMV practice tests. Along with this course, behind-the-wheel training is necessary. 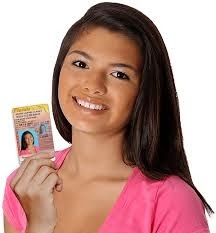 Getting ready for your drivers permit can be overwhelming, but if you take it step by step you will come out on top. The first step you must take if you want to get your permit is to take a Virginia Drivers Ed course. The state of Virginia requires that every new driver complete driver training before being able to get a driver's permit, so why not get it out of the way right away so you can get one step closer to becoming a licensed driver. We have created a VA Drivers Ed course that is entirely online, so you can do it all from the comfort of your own home. This Virginia Drivers Ed course is approved by the state Department of Education, which means that it satisfies all of the requirements that are necessary to get your permit. Before you are ready for a Virginia Drivers License there are a number of requirements that you will need to complete. As a teen, it is necessary to complete a course like ours that is state-approved and covers the important topics like defensive driving, driver communication, emergency avoidance, technology, road conditions, basic maintenance, dangers on the road, and much more. All you need is a computer with an internet connection to access this Virginia Drivers Ed course, so you can do it from just about anywhere you like. You can also log in and out whenever you want, so you never have to feel rushed or pressured to finish it; you can take as long as you like. Register the course to earn your Virginia Learners Permit Now! This Virginia Drivers Ed course consists of eight units and each one focuses on a different and important driver related issue. These are all things that must learn about before you can drive by yourself, so this is one course that you won't mind taking. The units of the course include an introduction and seven other units titled the driver, the vehicle, the road, basic driving, intermediate driving, advanced driving, and using your vehicle for travel. You will learn valuable information in each one. There are short review quizzes at the end of each unit to make sure that you understand everything you have learned. Your Virginia Driver Education online course is not complete until the final exam has been passed with a score of 80% or higher. The exam is made up of multiple-choice questions on the course material. Retakes are free and unlimited so there is no extra pressure to pass on your first try. Simply review the material and try again! This Virginia Drivers Ed course will teach you everything you need to know to become a responsible driver.